The Heart of the Valley YMCA is an association of men, women, and children joined together by a shared commitment to nurture all children’s potential, promote healthy living, and foster social responsibility. There was a significant growth in conversions on their new and improved website. Since our collaboration, they have greatly increased the amount of revenue they generate from their website. There was a drastic increase in Daxko program registrations after we launched their updated website. 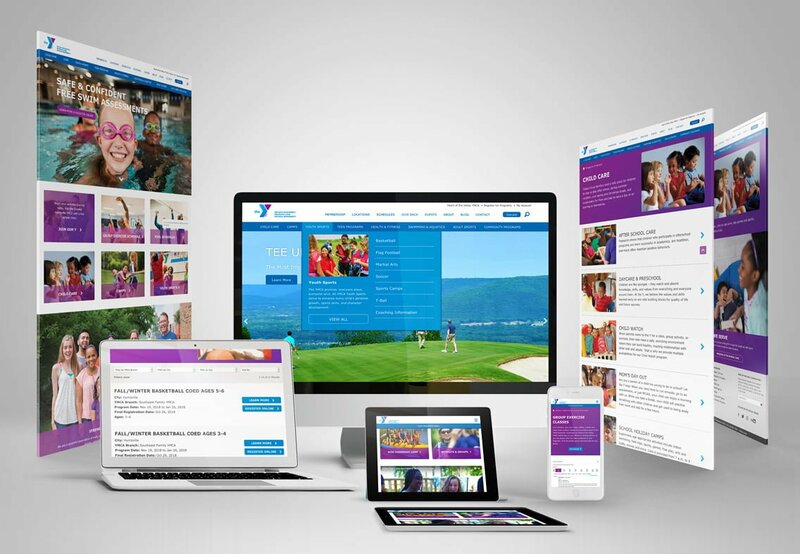 The Heart of the Valley YMCA wanted to improve their website by increasing user-friendliness and better communicating what the YMCA’s mission. They wanted to showcase all of the programs they offer in a clear, effective manner to increase participation. Also, they were in need of an easy-to-maintain website. The Heart of the Valley YMCA was investing in a lot of traditional marketing methods and Google Ad Grants, but the results they hoped for weren’t there. They longed to see an increase in website engagement. The Heart of the Valley YMCA’s original website had an excessive amount of content that was hard to maintain and confusing to the end user. We reorganized and trimmed their content to be clear and concise, so that their website visitors wouldn’t feel overwhelmed. Additionally, we gave the website a fresh, updated look and provided them with a better digital strategy. Since their program registration is done through a software called Daxko, we helped streamline their content management by integrating their website program pages with Daxko. Our solution helped relieve them of having to edit the web pages manually. To ensure we were doing everything we could to increase awareness and conversion, we also managed their Google Ad Grants account and marketing campaigns. We also assisted in the optimization of Google Ad GrantsWords for the Heart of the Valley YMCA and ensured that their account was set up properly and maintained. "Heart of the Valley YMCA couldn't be happier with the results of our new website that Image in a Box built from the ground up. Our new site is more attractive and user-friendly to our members, prospective members, and staff. It is also designed to work hard for us with SEO and analytics that show us the way forward. As the Tennessee Valley's largest nonprofit charitable organization strengthening community, the YMCA depends on Image in a Box to help us use our dollars wisely and effectively in our marketing and advertising efforts to create the greatest impact possible in telling our story as we serve families, individuals, and children in North Alabama. 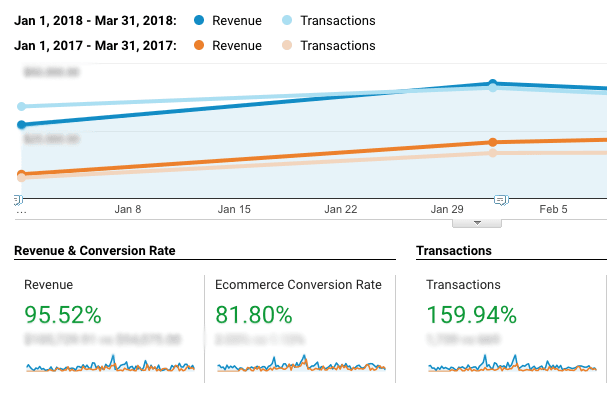 Ever since we partnered with the Heart of the Valley YMCA to redesign their website and maintain their Google Ad Grants account, we have seen a substantial growth in their conversion rates. We attribute this to their new website being designed to convert visitors into leads by incorporating compelling call-to-actions seamlessly with clear and concise content. Check out the final outcome of their modern, up-to-date website. Let's increase your website's effectiveness.